 Vision Wave Weddings is based in Staffordshire, less than 40 miles from the North Wales border, making it perfectly located for North Wales wedding video. North Wales is a beautiful part of the UK, and is home to many amazing wedding venues. Since Vision Wave Weddings began filming weddings in 2012, I’ve had the fortunate pleasure of travelling to North Wales to capture a number of amazing North Wales wedding videos. North Wales has always been a favourite of holiday makes and day trippers alike, and rightly so. From the idyllic coastline to the rolling foothills of Snowdonia National Park, there really is something for everyone. I often spend an adrenaline pumping day at Surf Snowdonia before relaxing with an ice cream inside the city walls of Conwy. I have many fond memories of North Wales from my childhood holidays spent in Llangollen, Betws-y-coed and Colywn Bay, just to name a few. Come rain or shine there was always some fun to be had in that beautiful part of Britain. And that’s why North Wales makes for the perfect backdrop to any wedding, with a plethora of wonderful venues ranging from farmhouse and barn style venues, to simply stunning manor houses, there is a wedding venue to suit every couple for their wedding day. One of my favourite types of wedding video is one that would be situated on the bride and grooms family farm; quite often their childhood farm, where they grew up. These types of weddings offer couples unlimited possibilities, and endless choices when it comes to making their day one hundred percent perfect. I’ve been lucky enough to shoot a number of farm wedding videos in North Wales, two of my favourites have been Natalie and Nicholas’ wedding, who had their ceremony at St Chad’s Church in Hanmer, followed by their reception at the bride’s parents farm in Penley. The following year I also shot Natalie’s brothers wedding, and I joined Cassie and Will for their ceremony at St Dunawds Church in Wrexham, followed by their reception also in Wrexham. Despite both being home farm weddings they were both totally different and unique, and very personal to each bride and groom. I think that’s one of the biggest benefits of having a wedding at your own venue or farm. It’s also always lovely to almost be the ‘family wedding videographer’ as it’s great to catch up with past brides and grooms, as well as say hi to some familiar faces. Tower Hill Barns has been one of my favourite North Wales wedding venues, so far! I am looking forward to filming more North Wales wedding videos at more and more venues, but Tower Hill Barns was absolutely amazing! It’s perfectly nestled in the North Wales countryside, with some stunning views out of the rolling hills. I’d be tempted to say that it was even one of my favourite venues from the whole of the 2018 wedding season, let alone one of my favourite North Wales wedding videos. Tower Hill Barns is an Oak Barn wedding venue, very similar in style to one of my local venues, Sandhole Oak Barn. It offers a number of ceremony locations, inside and outside. Of course in 2018 we were able to take advantage of the fabulous weather, and Lisa and Ed held their ceremony under the bridge which was an amazing backdrop! Having a look through the amount of wedding venues that North Wales has to offer I’m excited to head over more often to capture some more amazing North Wales wedding videos. Head to the Vision Wave Weddings YouTube channel to watch the specific North Wales Wedding Video playlist, where you can find most of the weddings I’ve filmed throughout North Wales. If you’re getting married in North Wales and would like Vision Wave Weddings to capture your North Wales wedding video just get in touch via my contact page – I’d love to be a part of your special day. If you’d like to see the wedding videography prices and packages that I offer just click here to head over to the prices page. Follow Vision Wave Weddings on Facebook for the latest sneak peeks and highlight videos.